Police said the resident, Thangaraj (36), was staying in an independent house on Renga Street in Old Perungalathur with his wife and two children. 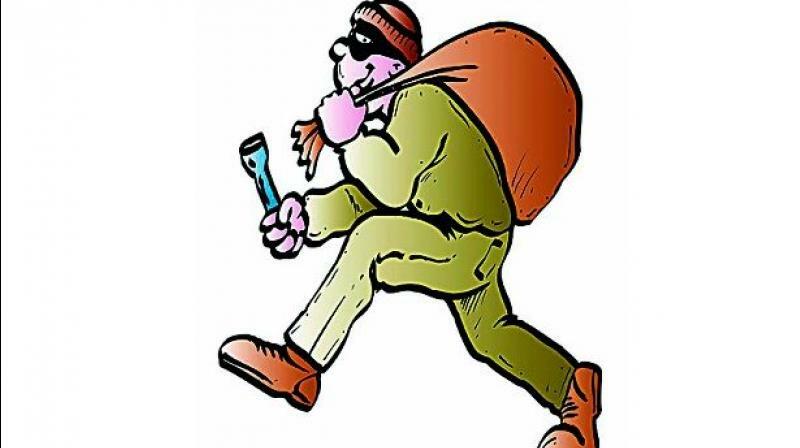 Chennai: Around 30 sovereigns of gold jewellery worth Rs 10 lakh and Rs 10,000 in cash were burgled from a house in Old Perungalathur in Tambaram on Sunday night. According to the police, the family went to sleep early on Sunday night after making sure the doors were locked. The Peerkankaranai police have registered a case and are checking CCTV footages. Further probe is on.